Knee surgeons often perform the same surgery, the same way, hundreds of times a year. They perform it the same way because it’s the best, most effective way to do it. They don’t change the protocol because it’s boring. They stick to the routine because it’s effective. Trainers (and trainees) often get caught up in changing workout routines just for the sake of change. This is done to combat boredom or to “confuse” muscle into getting stronger. Most of the time, this just ensures you don’t really get better at anything, and sub-par exercises are often chosen simply because they are different. 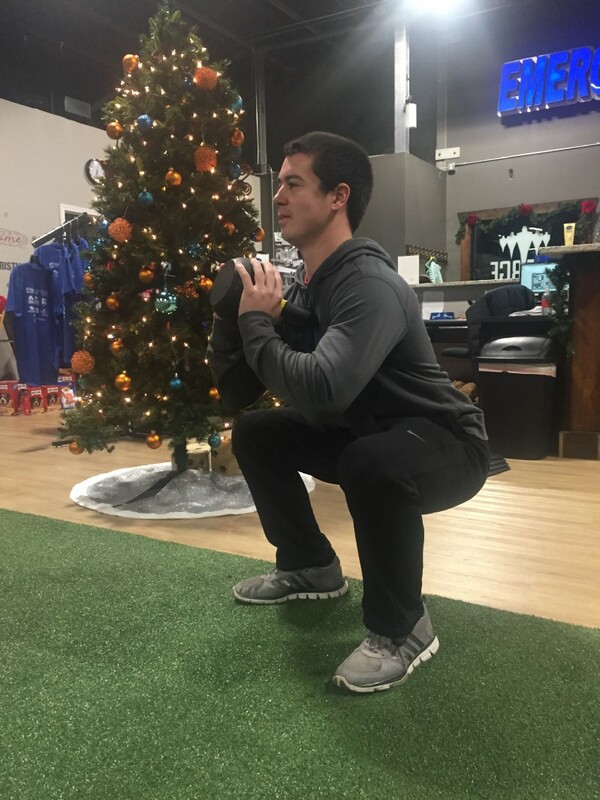 A goblet squat performed by Ben Serangeli. Sticking to a routine, often a basic routine, is the best way of tracking change and encouraging progressive gains. It’s rare to see the “basic” exercises done very well. There is simply no reason (when improvement is the goal) to move on from a basic exercise when it cannot be performed with precision. Progress when you are ready, but know that improving your basics will get you further, faster. Plus, doing the ordinary extraordinarily well feels really good, and it’s obvious when you see it. Lower body push pattern: front or goblet squat, back squat, split squat. Lower body pull pattern/ hip hinge: RDL, kettlebell swing, hip bridge. Upper body press pattern: overhead press, push up, chest press. Upper body pull pattern: pull up, row. Have questions or want to see demonstrations?